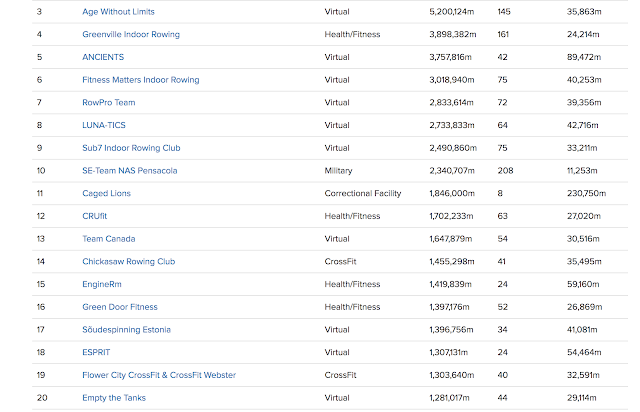 One week into the challenge and we have rowed an impressive 1,297,017 metres which places us in 20th position out of 426 teams. That's the top 5%. Jeff is in first place and has smashed through the one million metres in a week. 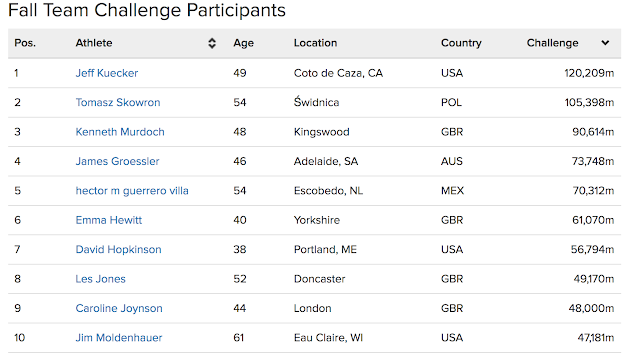 Tomasz in second place giving him some stiff competition. Ken M has almost reached 1MM. James and Hector have rowed 70k+ and our top female Emma is catching them up with 61k. David, Les, Caroline and Jim are close to and beyond 50k+. Of the 44 team mates who have signed up for the challenge, 37 have contributed metres. Jim Moldenhauer, Mike Fogel, Jeff Doubleday, Bouke Dieleman, Andy Soyring, Julie Suni, William Doughty, Mike Bode, John Betts, Norman Haas, Gary McCormack, Preston Zale, Edward Jackson, Andrew Lambert, Evan Jenkins, Joseph Smyntek, Robert Ayres, John Bilis, Adrianne Davidson, Tim Adams, Mark Bower, Jurjen Borst, Hartmut Dicke, Larry Williams, Dan Usher, Jan Van Der Horst and Mark Kaehler. Let's see how we get on in week two. 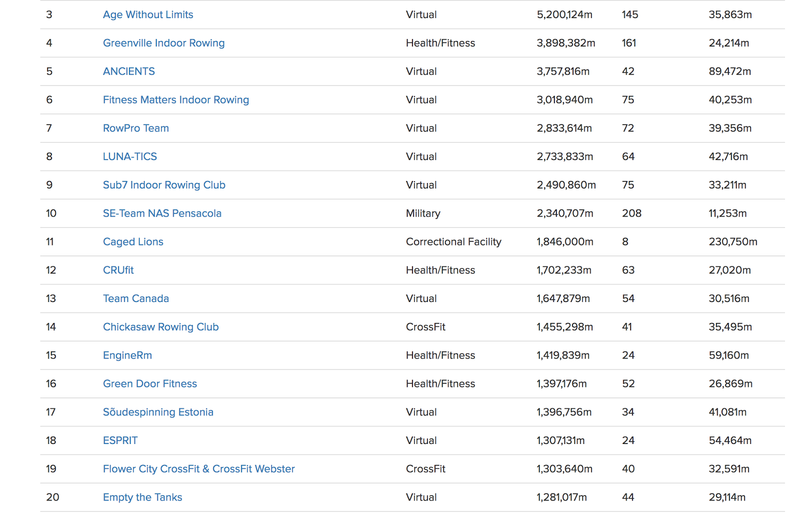 We are only 40k behind Flower City Crossfit team, maybe we can sneak past them this weekend? Have you any stories / personal bests to share with me?